This is a sign that demonstrates that boys will always be boys. 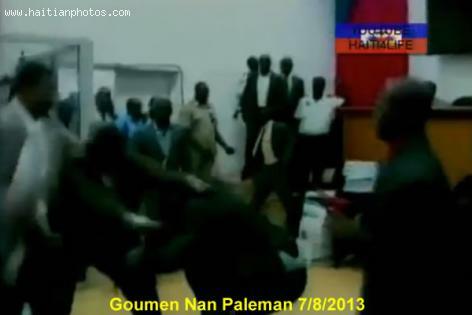 The Haitian parliament turned into a boxing range in July 2013 when several Haitian Deputies decided that action is worth more than talking. As you can see in a video, the Haitian deputies forgot all decencies and civility when they decide to at each other in a physical manner. Is this what we want our children to see. Even more, do we want that as a role model for our children.